New College Collections Curator Kirsty Stewart & I were delighted to find this lovely ‘illuminated manuscript’ certificate, which celebrates the fiftieth anniversary of the ordination of Rev. 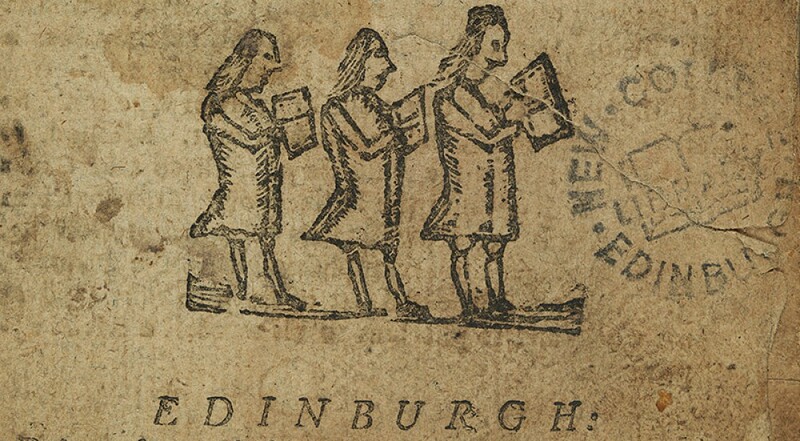 Walter Chalmers Smith, in the New College Library manuscript collections. Rev Walter Chalmers Smith was an alumni of New College and followed a distinguished career in the Free Church, becoming Moderator of the Free Church in 1893 and culminating in the role of minister at the Free High Kirk in Edinburgh. After further denominational reunification, the Free High Kirk building became what we now know as New College Library in 1936, so this document is a link to New College Library’s past. It’s also a fascinating glimpse into Christmas over a hundred years ago, when it was more common in Scotland for Christmas day to be a normal working day without holiday celebrations. This made it a suitable day for new minister Chalmers Smith to be ordained, as recorded on the certificate. 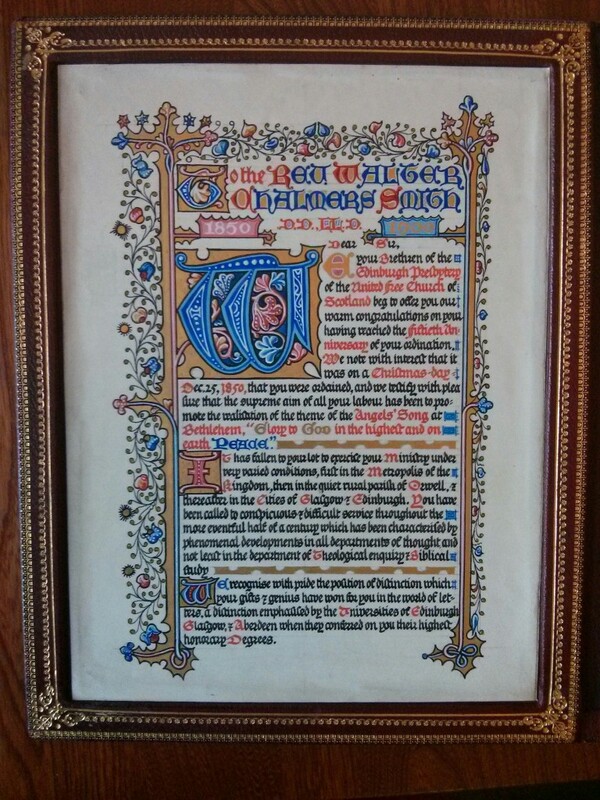 This entry was posted in New College Library and tagged archives, Free Church of Scotland by cloverodgers. Bookmark the permalink.